There are many reasons to choose tile flooring for your home, and many ways to use it there as well. In addition to being stunning to look at, easy to design with, and easy to clean, it’s also considered a green building product. 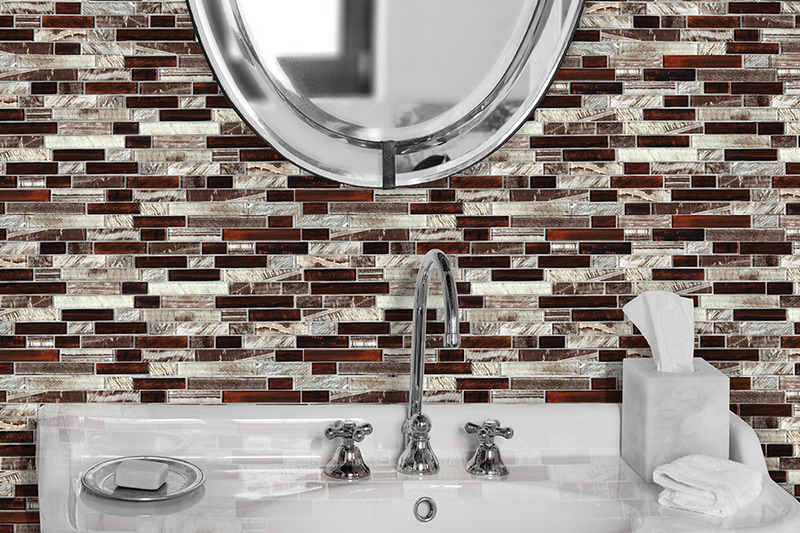 You’ll feel good about choosing these tiles for more than one reason. What’s more, they are an excellent addition to any space, not just rooms where you might have seen them most in other homes or commercial spaces. Let’s explore more possibilities for these great products. You’ll find Michael’s Flooring Outlet at four separate showroom locations for your convenience. Visit us in St. Peters, Dardenne, Prairie, Creve Coeur, and Florissant, MO. From these bases, we serve the areas of Greater St. Charles County and St. Louis County, O’Fallon, Lake St. Louis, Weldon Spring, Dardenne Prairie, Wentzville, Foristell, Wright City, Warrenton, Creve Coeur, Chesterfield, Ladue, Kirkwood, Valley Park, Fenton, Florissant, Hazelwood, Bridgeton, and Ferguson. We are proud to offer an extensive assortment of floor coverings and professional services that turn your flooring ideas into a reality you can really believe in. Make sure you ask about our design team, and how they can turn your flooring ideas into reality, as well as our professional installation team, that can put the finishing touches on your dream floor. We look forward to serving you soon. 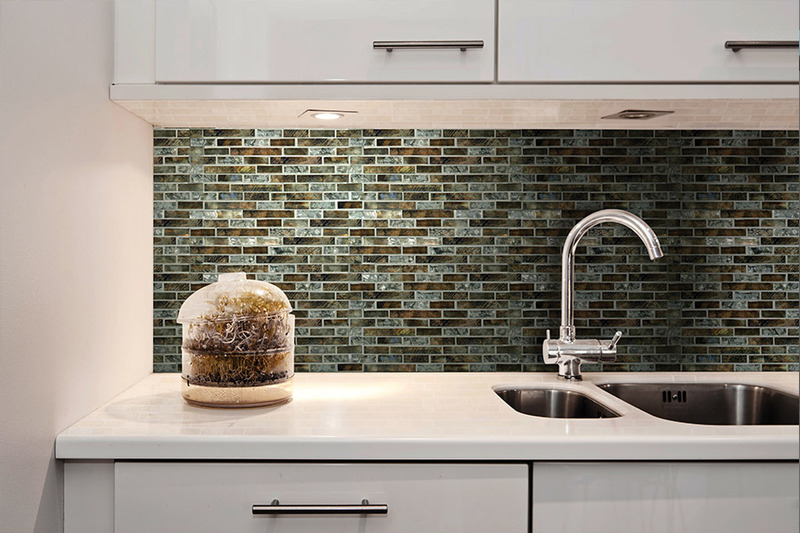 Glass tile is often used in kitchens and bathrooms alike. 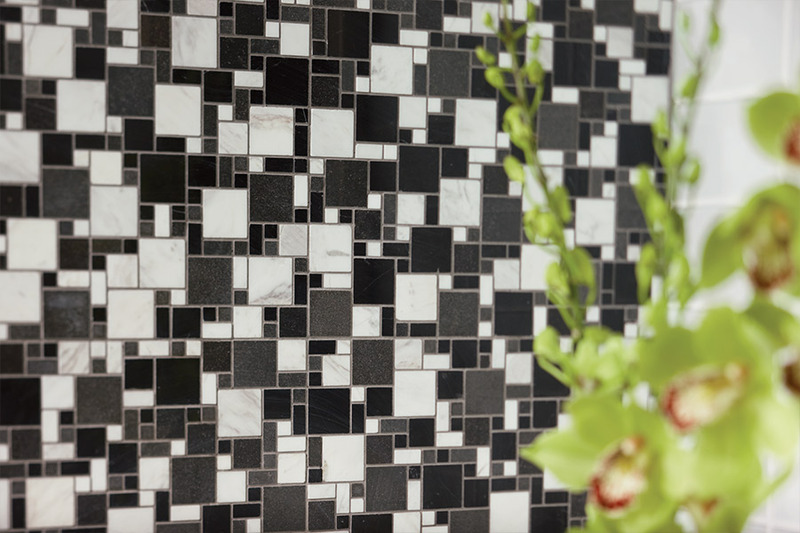 Used as flooring materials, backsplashes, and accent pieces, these products can offer a look like no other. The benefits that stand out most are the reason for placement in these particularly damp rooms. For instance, they’re very easy to clean. 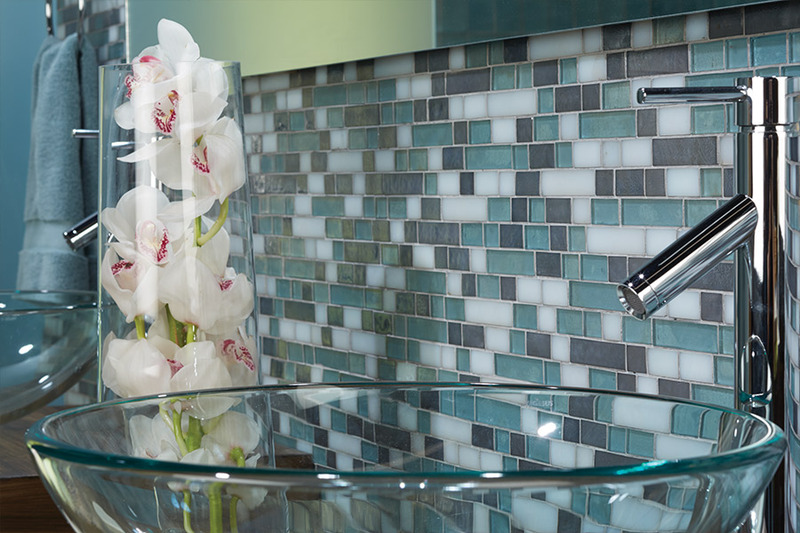 Food particles, soap scum, and water spots may be there for a moment, but can easily be cleaned away. 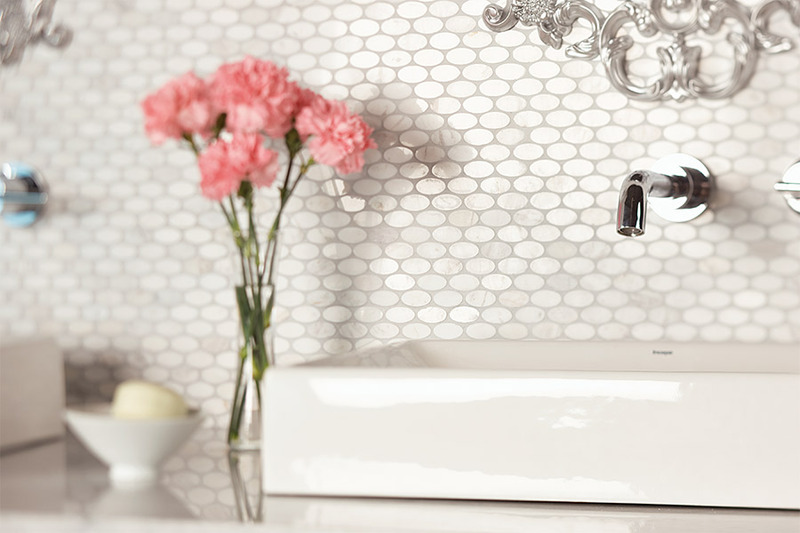 They’re also resistant to the growth of mildew, mold, and bacteria. These are all great reasons, as well, to place them in any other room in your home. In living rooms, for instance, not only are they a pleasure to decorate with, but they also reflect light to create an open, inviting space for your guests. With a variety of sizes, shapes, and finishes, you can match any decor options, even when only using them as special accent pieces. 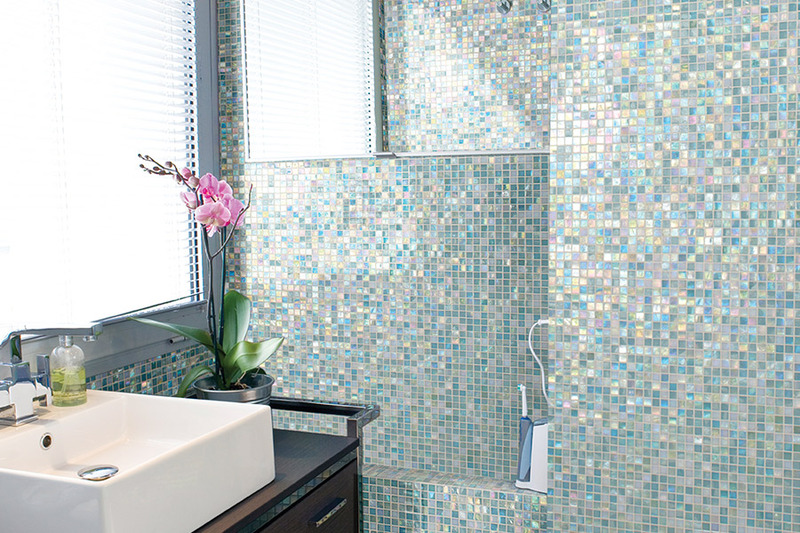 On the other hand, some homeowners choose to create an entire room with glass tile. For the eco-friendly consumer, you’ll be pleased to know that this is a green product and very friendly to the environment. 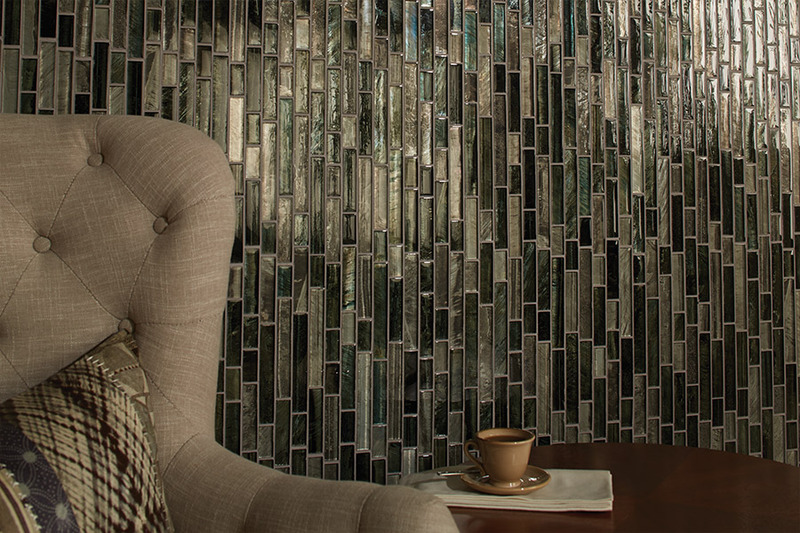 For instance, it only takes about half the energy expenditures to create a glass tile when compared with the production of a ceramic tile of an equal size.